Here's a protein packed snack that's also low in sugar. 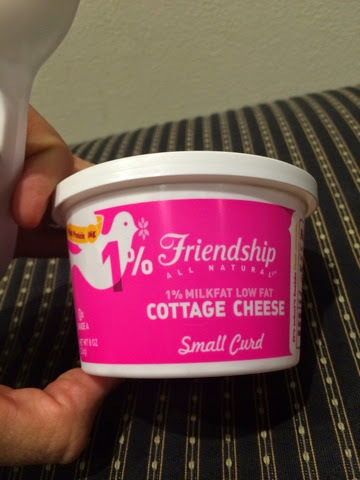 Cottage cheese works great to keep you feeling full between meals. For more flavor add blueberries or strawberries DO NOT buy the fruit in cottage cheese (usually it's pineapple) as this product is loaded with sugar. My only beef with this snack is that it's obviously a dairy product and also not organic. Therefore this choice is not an optimal one. Nevertheless, I give my decision to eat this a grade of B+ when I'm short on time, have few options and am hungry. Look for another post soon on why I try to limit my non-organic dairy consumption.